How Does Samsung’s Galaxy S6 Compare to Apple’s iPhone 6? 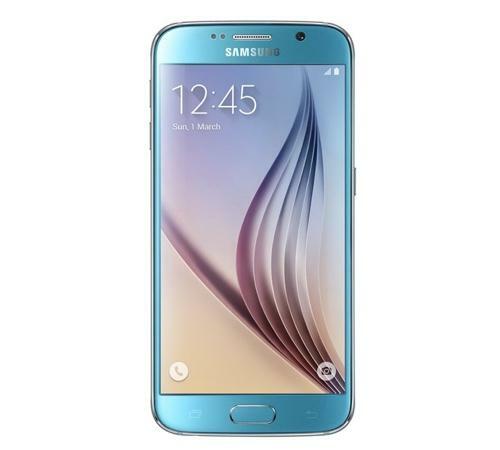 Samsung’s new flagship smartphone, the Galaxy S6, is easily the best handset the company has made in years. While the phone packs a ton of great new features, it doesn’t exist in a vacuum. It’s competing against that other halo phone, Apple’s iPhone 6. Read More: Galaxy S6 and S6 Edge Hands-on. 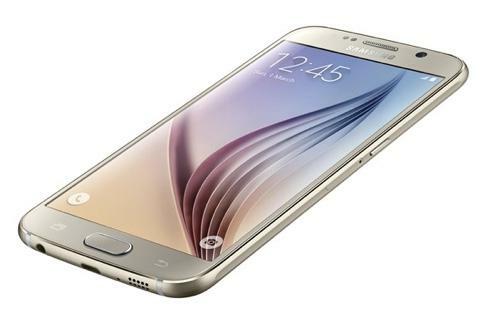 The 5-inch Galaxy S6 measures 5.6 x 2.8 x 0.28 inches, and weighs in at just 4.7 ounces. 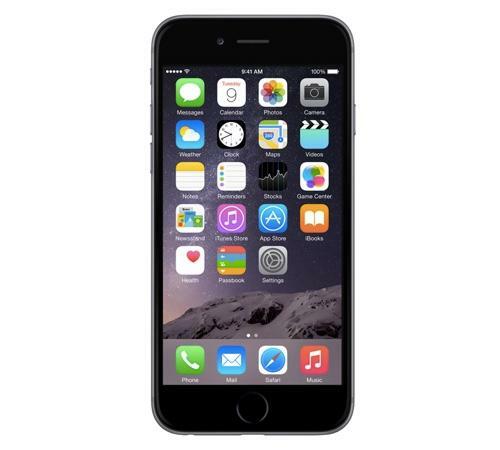 The iPhone 6, however, features a smaller 4.7-inch display and measures 5.4 x 2.6 x 0.27 inches. And at 4.6 ounces, Apple’s handset and the S6 are just about the same weight. Takeaway: The iPhone is a hair smaller thanks to its 4.7-inch screen, but the phones still weigh about the same. Samsung’s previous smartphones have been heavily criticized for their plastic construction and ho-hum looks. So for the S6, the company went upscale, giving the phone a sleeker, more modern look. Gone is the plastic and faux metal and in its place are Gorilla Glass-coated front and rear panels and new metal frame. The phone looks like a cross between an iPhone 4 and the iPhone 6, but it works. Since it first launched in 2007, Apple’s iPhones have widely been considered the gold standard of smartphone design, and with its thin dimensions and all-metal body, the iPhone 6 carries on that tradition with ease. Takeaway: The Galaxy S6 is a far better looking phone than its predecessor thanks to a new design, though the iPhone continues to impress as well. Samsung’s Galaxy S6 sports a 5.1-inch, 2560 x 1440 QHD Super AMOLED (Active Matrix of Organic Light-emitting Diodes) display that is not only sharp, but also ridiculously colorful. That said, it’s unnecessary to equip a 5.1-inch phone with a screen resolution of 2560 x 1440, as the average person can’t tell the difference between that and a 5-inch screen with a resolution of 1920 x 1080. The displays are simply too small and the pixels are packed too tight to make much of an impact. Apple’s iPhone 6 comes with a smaller 4.7-inch, 1334 x 750 LED “Retina HD” display that’s among the best on the market. And while it doesn’t have nearly as many pixels as the Galaxy S6’s screen, the iPhone 6’s panel is still incredibly sharp. Takeaway: The Galaxy S6’s QHD display is absolutely gorgeous, but so is the iPhone 6’s Retina HD screen. Either way, your cat photos will look great on both. 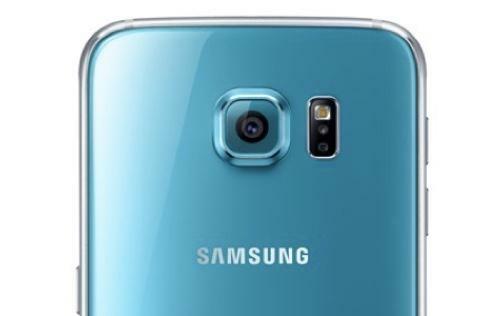 The Galaxy S6 comes with a new 16-megapixel camera that the company says will offer improved low-light image quality thanks to its f/1.2 lens aperture. The camera is also able to capture real-time automatic high-dynamic range photos, which essentially combines two photos with different exposures to create a single image with more accurate colors. The S6’s IR heart rate monitor can also measure ambient lighting and adjust the camera accordingly. The S6’s camera app is also far faster than its predecessor’s, launching in less a second, and features optical image stabilization, which allows the lens to physically move to compensate for your hand shaking while taking pictures, reducing blurring. Apple’s iPhone 6 comes with an improved 8-megapixel iSight camera with an f/2.2 aperture lens and can also capture auto HDR photos. The iPhone 6’s camera doesn’t, however, come with optical image stabilization, but instead relies on digital image stabilization, which uses software to compensate for blurring caused by your hands shaking. The iPhone 6’s camera is STILL one of the best smartphone cameras you can get, offering incredibly sharp and colorful images. It’ll take a lot for the Galaxy S6 to topple the iPhone in this category. Takeaway: Samsung wants the Galaxy S6 to be the new smartphone camera king, and it looks like it may be able to do just that. We’ll have to wait to find out for sure, though. Rather than equipping the Galaxy S6 with a removable battery like it did with the handset’s predecessors, Samsung has chosen to stick with a non-removable power plant. That’s sure to anger some Samsung fans who have long touted the company’s use of removable batteries as a major benefit. The S6 also comes with a smaller battery than the Galaxy S5, 2,600 mAh versus 2,800 mAh. How exactly that will impact battery life remains to be seen, but Samsung has once again included its battery saving technology in the S6 in an effort to keep the handset going as long as possible. Apple doesn’t mention the size of the iPhone 6’s battery, but several teardowns of the handset have revealed that it is powered by a 1,810 mAh battery. That’s smaller than the Galaxy S6’s battery, but thanks to iOS’ power management features, the iPhone 6 is still able to last an entire day. Takeaway: Going with a non-removeable battery could be risky for Samsung, but with its battery saving features, the S6 should have plenty of juice to get you through the day. 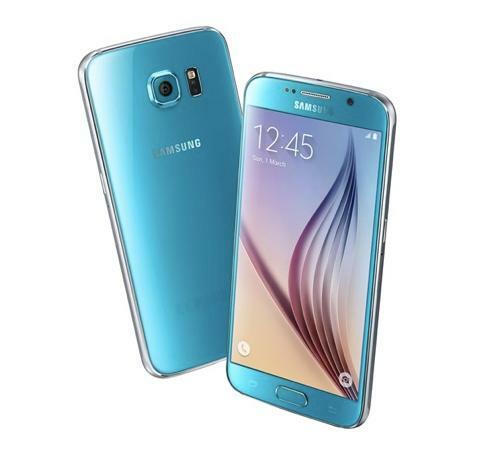 The Galaxy S6 runs on a modified version of Google’s Android 5.0 Lollipop operating system called TouchWiz, which the company says has been paired down to help make it easier to understand and less clunky. From our short time with the S6 we can say that it certainly feels faster and lighter, but we’ll have to wait until we can really dig into it to find out how much better the operating system really is. 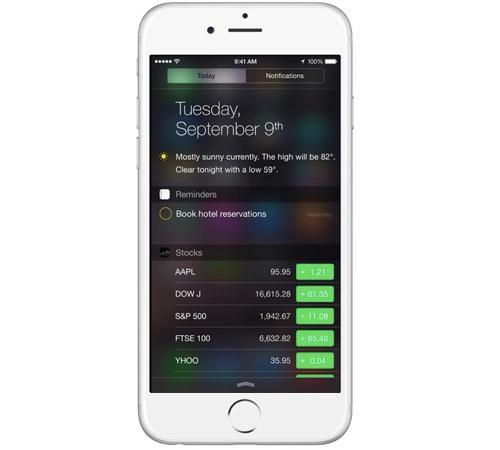 Apple’s iPhone 6 runs on the company’s iOS 8 operating system, which has had a few major bugs since its launch. Apple has been quick to patch the issues, though, and the operating system’s ease of use and straightforward design continue to make it one of the best around. Takeaway: With a trimmed down TouchWiz, Samsung may finally be able to go toe-to-toe with Apple in the software department. It’s still too early to tell whether Samsung’s Galaxy S6 has what it takes to topple the iPhone 6, but based purely on how the phones match up on paper, the S6 at least has a shot. To learn more about Samsung’s latest flagship smartphone, check out our full preview.